Do you have the Roman Empire ideas in EU4? Also: why did the game call you ‘Kalmens’ instead of ‘Kalmen’ like you were in CK2? No, the Roman Empire ideas did not appear. I think because I had the Arabian Empire as my primary title. 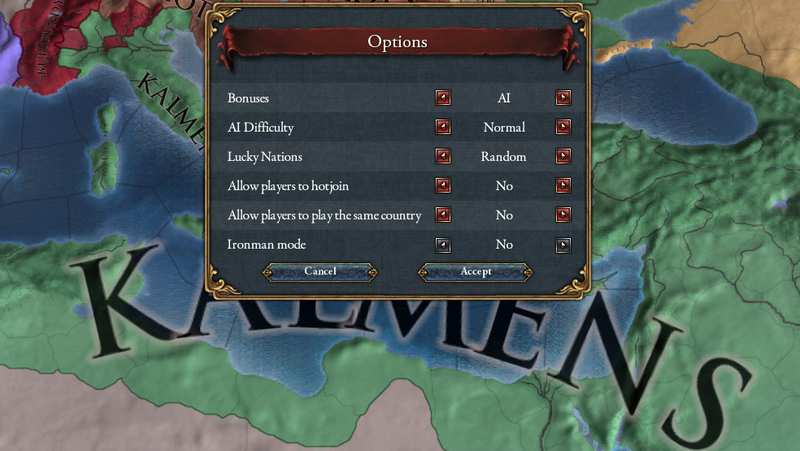 And EU IV just does that to Arab names. Like Ottomans, Timurids, Seljuks etc., the Kalmen Empire is now Kalmens. I edited this to be the Kalmen-Roman Empire by the time I started actually playing EU IV though.